"Christian law" redirects here. For other types of religious law in Christianity, see Religious law § Christianity. Canon law is the body of laws and regulations made by ecclesiastical authority (Church leadership), for the government of a Christian organization or church and its members. It is the internal ecclesiastical law, or operational policy, governing the Catholic Church (both Latin Church and Eastern Catholic Churches), the Eastern and Oriental Orthodox churches, and the individual national churches within the Anglican Communion. The way that such church law is legislated, interpreted and at times adjudicated varies widely among these three bodies of churches. In all three traditions, a canon was originally a rule adopted by a church council; these canons formed the foundation of canon law. Greek kanon / Ancient Greek: κανών, Arabic Qanun / قانون, Hebrew kaneh / קנה, "straight"; a rule, code, standard, or measure; the root meaning in all these languages is "reed" (cf. the Romance-language ancestors of the English word "cane"). In the Catholic Church, canon law is the system of laws and legal principles made and enforced by the Church's hierarchical authorities to regulate its external organization and government and to order and direct the activities of Catholics toward the mission of the Church. In the Latin Church, positive ecclesiastical laws, based directly or indirectly upon immutable divine law or natural law, derive formal authority in the case of universal laws from the supreme legislator (i.e. the Supreme Pontiff), who possesses the totality of legislative, executive, and judicial power in his person, while particular laws derive formal authority from a legislator inferior to the supreme legislator. The actual subject material of the canons is not just doctrinal or moral in nature, but all-encompassing of the human condition. Alexandrian Rite Churches which include the Coptic Catholic Church and Ethiopian Catholic Church. West Syrian Rite which includes the Maronite Church, Syriac Catholic Church and the Syro-Malankara Church. Armenian Rite Church which includes the Armenian Catholic Church. Byzantine Rite Churches which include the Albanian Byzantine Catholic Church, Belarusian Greek Catholic Church, Bulgarian Church, Byzantine Catholic Church of Croatia and Serbia, Greek Church, Hungarian Greek Catholic Church, Italo-Albanian Church, Macedonian Greek Catholic Church, Melkite Church, Romanian Church United with Rome, Greek-Catholic, Russian Church, Ruthenian Church, Slovak Greek Catholic Church and Ukrainian Catholic Church. East Syrian Rite Churches which includes the Chaldean Church and Syro-Malabar Church. All of these church groups are in full communion with the Supreme Pontiff and are subject to the Code of Canons of the Eastern Churches. The Catholic Church has what is claimed to be the oldest continuously functioning internal legal system in Western Europe, much later than Roman law but predating the evolution of modern European civil law traditions. What began with rules ("canons") adopted by the Apostles at the Council of Jerusalem in the first century has developed into a highly complex legal system encapsulating not just norms of the New Testament, but some elements of the Hebrew (Old Testament), Roman, Visigothic, Saxon, and Celtic legal traditions. The history of Latin canon law can be divided into four periods: the jus antiquum, the jus novum, the jus novissimum and the Code of Canon Law. 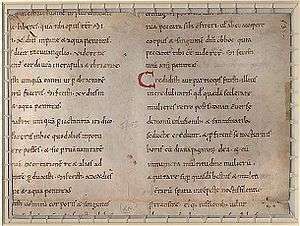 In relation to the Code, history can be divided into the jus vetus (all law before the Code) and the jus novum (the law of the Code, or jus codicis). The canon law of the Eastern Catholic Churches, which had developed some different disciplines and practices, underwent its own process of codification, resulting in the Code of Canons of the Eastern Churches promulgated in 1990 by Pope John Paul II. It is a fully developed legal system, with all the necessary elements: courts, lawyers, judges, a fully articulated legal code principles of legal interpretation, and coercive penalties, though it lacks civilly-binding force in most secular jurisdictions. The academic degrees in canon law are the J.C.B. (Juris Canonici Baccalaureatus, Bachelor of Canon Law, normally taken as a graduate degree), J.C.L. (Juris Canonici Licentiatus, Licentiate of Canon Law) and the J.C.D. (Juris Canonici Doctor, Doctor of Canon Law). Because of its specialized nature, advanced degrees in civil law or theology are normal prerequisites for the study of canon law. Much of the legislative style was adapted from the Roman Law Code of Justinian. As a result, Roman ecclesiastical courts tend to follow the Roman Law style of continental Europe with some variation, featuring collegiate panels of judges and an investigative form of proceeding, called "inquisitorial", from the Latin "inquirere", to enquire. This is in contrast to the adversarial form of proceeding found in the common law system of English and U.S. law, which features such things as juries and single judges. The institutions and practices of canon law paralleled the legal development of much of Europe, and consequently both modern civil law and common law (legal system) bear the influences of canon law. Edson Luiz Sampel, a Brazilian expert in canon law, says that canon law is contained in the genesis of various institutes of civil law, such as the law in continental Europe and Latin American countries. Sampel explains that canon law has significant influence in contemporary society. Canonical jurisprudential theory generally follows the principles of Aristotelian-Thomistic legal philosophy. While the term "law" is never explicitly defined in the Code, the Catechism of the Catholic Church cites Aquinas in defining law as "...an ordinance of reason for the common good, promulgated by the one who is in charge of the community" and reformulates it as "...a rule of conduct enacted by competent authority for the sake of the common good." The law of the Eastern Catholic Churches in full union with Rome was in much the same state as that of the Latin or Western Church before 1917; much more diversity in legislation existed in the various Eastern Catholic Churches. Each had its own special law, in which custom still played an important part. In 1929 Pius XI informed the Eastern Churches of his intention to work out a Code for the whole of the Eastern Church. The publication of these Codes for the Eastern Churches regarding the law of persons was made between 1949 through 1958 but finalized nearly 30 years later. The first Code of Canon Law (1917) was almost exclusively for the Latin Church, with extremely limited application to the Eastern Churches. After the Second Vatican Council, (1962 - 1965), another edition was published specifically for the Roman Rite in 1983. Most recently, 1990, the Vatican produced the Code of Canons of the Eastern Churches which became the 1st code of Eastern Catholic Canon Law. The Greek-speaking Orthodox have collected canons and commentaries upon them in a work known as the Pēdálion (Greek: Πηδάλιον, "Rudder"), so named because it is meant to "steer" the Church. The Orthodox Christian tradition in general treats its canons more as guidelines than as laws, the bishops adjusting them to cultural and other local circumstances. Some Orthodox canon scholars point out that, had the Ecumenical Councils (which deliberated in Greek) meant for the canons to be used as laws, they would have called them nómoi/νόμοι (laws) rather than kanónes/κανόνες (rules), but almost all Orthodox conform to them. The dogmatic decisions of the Councils, though, are to be obeyed rather than to be treated as guidelines, since they are essential for the Church's unity. In the Church of England, the ecclesiastical courts that formerly decided many matters such as disputes relating to marriage, divorce, wills, and defamation, still have jurisdiction of certain church-related matters (e.g. discipline of clergy, alteration of church property, and issues related to churchyards). Their separate status dates back to the 12th century when the Normans split them off from the mixed secular/religious county and local courts used by the Saxons. 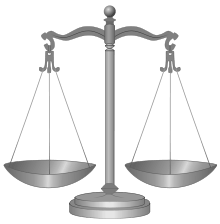 In contrast to the other courts of England the law used in ecclesiastical matters is at least partially a civil law system, not common law, although heavily governed by parliamentary statutes. Since the Reformation, ecclesiastical courts in England have been royal courts. The teaching of canon law at the Universities of Oxford and Cambridge was abrogated by Henry VIII; thereafter practitioners in the ecclesiastical courts were trained in civil law, receiving a Doctor of Civil Law (D.C.L.) degree from Oxford, or a Doctor of Laws (LL.D.) degree from Cambridge. Such lawyers (called "doctors" and "civilians") were centered at "Doctors Commons", a few streets south of St Paul's Cathedral in London, where they monopolized probate, matrimonial, and admiralty cases until their jurisdiction was removed to the common law courts in the mid-19th century. Other churches in the Anglican Communion around the world (e.g., the Episcopal Church in the United States, and the Anglican Church of Canada) still function under their own private systems of canon law. In Presbyterian and Reformed churches, canon law is known as "practice and procedure" or "church order", and includes the church's laws respecting its government, discipline, legal practice and worship. Roman canon law had been criticized by the Presbyterians as early as 1572 in the Admonition to Parliament. The protest centered on the standard defense that canon law could be retained so long as it did not contradict the civil law. According to Polly Ha, the Reformed Church Government refuted this claiming that the bishops had been enforcing canon law for 1500 years. The Book of Concord is the historic doctrinal statement of the Lutheran Church, consisting of ten credal documents recognized as authoritative in Lutheranism since the 16th century. However, the Book of Concord is a confessional document (stating orthodox belief) rather than a book of ecclesiastical rules or discipline, like canon law. Each Lutheran national church establishes its own system of church order and discipline, though these are referred to as "canons." The Book of Discipline contains the laws, rules, policies and guidelines for The United Methodist Church. Its last edition was published in 2012. ↑ Chisholm, Hugh, ed. (1911). "Canon". Encyclopædia Britannica (11th ed.). Cambridge University Press. ↑ "The Ecclesiastical Canons of the Same Holy Apostles". Ante-Nicene Fathers, Vol VII. Retrieved 2008-05-26. 1 2 Metz, René (1960). "What Is Canon Law?". The Twentieth Century Encyclopedia of Catholicism, Section VIII: The Organization of the Church. 80. New York: Hawthorn Books Inc.
↑ Vatican Archive. "Code of Canon Law". Vatican.va. Archived from the original on 20 February 2008. Retrieved 4 January 2014. 1 2 Peters, Dr. Edward, , JD, JCD, Ref. Sig. Ap. Canonlaw.info "Home Page" Check |url= value (help). CannonLaw.info. ↑ Blessed John Paul II, Ap. Const. (1990). Sacri Canones "Apostolic Constitution Sacri Canones John Paul II 1990" Check |url= value (help). ↑ "canon law." Encyclopædia Britannica. Encyclopædia Britannica Online Academic Edition. Encyclopædia Britannica Inc., 2013. Web. 9 August 2013. ↑ Gray, Msgr. Jason. "Home Page". JGray.org. Retrieved 8 June 2013. ↑ Canon 1, 1917 Code of Canon Law. ↑ Patsavos, Dr. Lewis J., Ph.D. (2013). "The Canonical Tradition of the Orthodox Church". Greek Orthodox Archdiocese of America. Retrieved 2013-08-09. ↑ "The Windsor Report - Section C - Canon Law and Covenant". Anglican Communion Office. 2013. Retrieved 2013-08-09. ↑ Ha, Polly (2010). English Presbyterianism, 1590-1640. Stanford University Press. ISBN 9780804759878. Retrieved 2013-08-09. Brundage, James A., The Medieval Origins of the Legal Profession: Canonists, Civilians, and Courts, Chicago : University of Chicago Press, c2008. Brundage, James A., Medieval Canon Law, London ; New York : Longman, 1995. Hartmann, Wilfried and Kenneth Pennington eds. (2008) The History of Medieval Canon Law in the Classical Period, 1140-1234: From Gratian to the Decretals of Pope Gregory IX, Washington, D.C.: The Catholic University of America Press. Hartmann, Wilfried and Kenneth Penningon eds. (2011) The History of Byzantine and Eastern Canon Law to 1500, Washington, D.C.: The Catholic University of America Press. R. C. Mortimer, Western Canon Law, London: A. and C. Black, 1953. Wikimedia Commons has media related to Canon law. Wikisource has the text of the 1911 Encyclopædia Britannica article Canon.